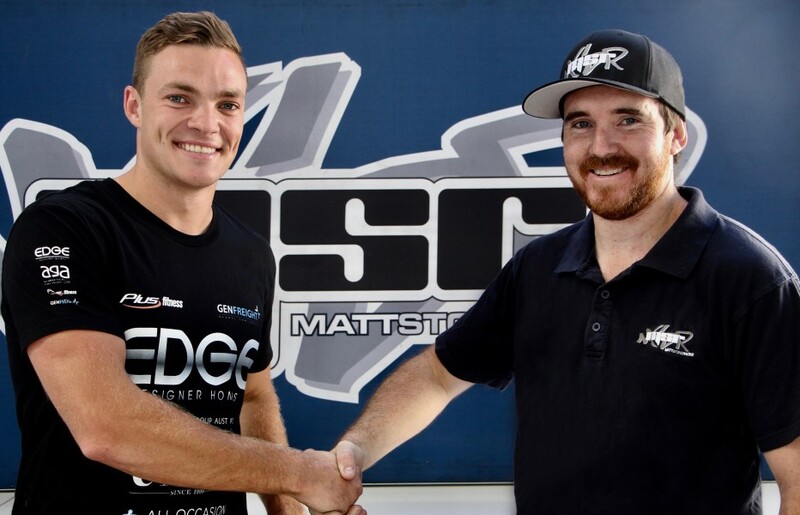 Matt Stone Racing has signed V8 Touring Car graduate Tyler Greenbury to drive Todd Hazelwood’s title-winning Commodore in the Dunlop Super2 Series this year. Greenbury joins the team as it enters the Virgin Australia Supercars Championship with Hazelwood, and completes its Super2 line-up alongside Bryce Fullwood in an ex-Shell V-Power Racing Falcon. The 25-year-old has spent the last two years in the V8 Touring Car Series, finishing as runner-up each time, in 2016 with Image Racing and last season with Eggleston Motorsport. “I wanted to move up,” Greenbury told Supercars.com. “I had a new sponsor ring me after my last round, and he said, ‘I’ve been watching you through the year and I’d like to have a meeting with you’. “I went to have a meeting with him and he said, ‘look, I want to do something over the next five years’. “There was nothing really happening at the end of the year, I was going to be looking for sponsors and stuff. “Obviously Todd won the championship in Super2, it’s a good car and I wanted good data to be able to relate to, so I gave Matt a call. “At first I was looking at the Penske car [Fullwood will race], but I had a chat with Matt, told him what’s happening and what I had in mind, and here we are. “I’d like to say a massive thank you to all of my sponsors and my family; it's great to be on the Super2 grid this year." Greenbury’s new but as-yet undisclosed sponsor is set to take on the naming rights of the ex-Craig Lowndes Commodore taken to six Super2 race wins in 2017 by Hazelwood. He will test the car for the first time on February 9, when MSR completes its maiden day at Queensland Raceway with the ex-DJR Team Penske Falcon Ford Hazelwood will race in the main game. Triple Eight is also set to test its new ZB Commodores, while Fabian Coulthard will shakedown his new Shell Ford. “It should be a good year,” Greenbury said. “Obviously I’ve got a bit to learn with the new tyre [from V8 Touring Cars] and new team, but at the moment I feel really comfortable. “They’ve been really good to deal with. Obviously you go to the first test day, see how we go and press on from there.